Panasonic revolutionized the broadcast industry in 1995 with the introduction of DVCPRO, creating a new standard for reliable and robust Electronic News Gathering. Since then, DVCPRO, DV and P2 rather than MPEG, have been adopted in newsrooms across the country and the world, helping to make Panasonic a leader in the Broadcast industry. 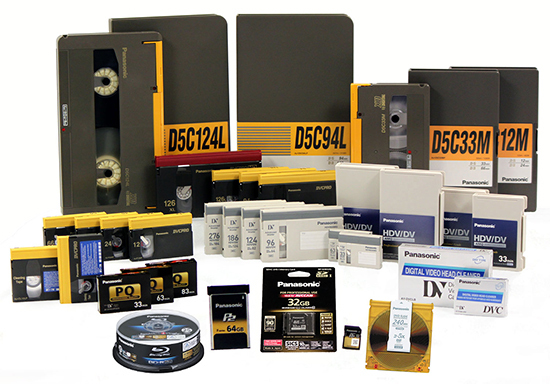 Panasonic offers wide choices in professional media from P2 and SDHC solid-state cards to videotape and blu-ray.